Industrial cranes are materials movement machinery that use levers and pulleys to operate a long truss, or arm, that lifts, lowers, carries and relocates what cannot be moved by smaller machinery or human power. They are used extensively throughout the construction, engineering, manufacturing and transportation industries, and they can be either mobile or fixed in terms of their design. Cranes are powered by gasoline engines or other hydrocarbon-fueled engines, hydraulics or electric batteries. 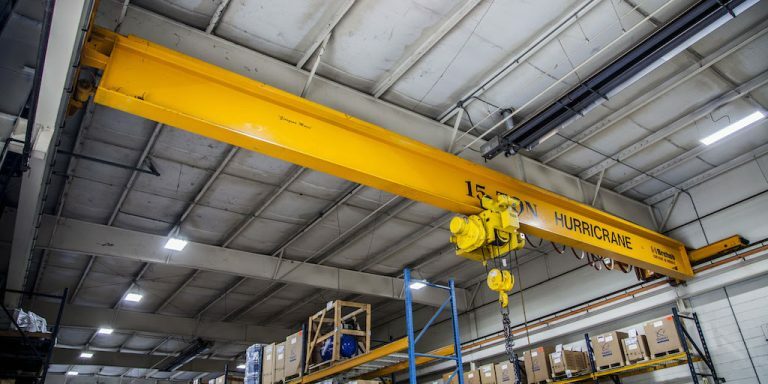 There are several different varieties of cranes, all of which are designed for use in specific settings. Each has varying qualities of load capacity, sizes, lifting height and span, and each is mounted on an automated vehicle or stationary structure. They can be employed indoors in factories and on warehouse floors, on roads during construction projects, over railroad tracks for easy loading and unloading of cargo, at shipyards for cargo movement and in many other contexts. Structural stability is key to safe and effective operation of all industrial crane systems. To prevent tipping or collapse, cranes are always built with clear load capacities and with systems of counterweights and other similar precautions if necessary. Many different kinds of cranes are used today. Mobile cranes have proliferated greatly in response to the unique needs of some operations. Some mobile cranes can be truck-mounted and are able to travel on highways. Rough terrain cranes are able to maneuver on soft or uneven ground. Railroad cranes are capable of moving on train tracks. Floating cranes can be attached to boats and float in water. Arial cranes can be attached to helicopters and are used in disaster situations along with a short list of highly specialized applications. Fixed cranes are not able to move but can carry heavier loads than mobile cranes and are much more stable. Smaller workstation cranes like monorail, jib and stacker cranes are used in indoor facilities and perform repetitive materials transportation tasks in loading docks and manufacturing facilities. They are free-standing, wall-mounted or ceiling-mounted. Larger outdoor cranes are mostly used in the construction of buildings and large structures like bridges or highway systems and large lifting applications like bulk-handling. Bridge, gantry and hoist cranes are larger fixed cranes, all of which also range in terms of their configurations and applications.